Metthew Melton is probably best known for fronting the breathy, garage pop band Warm Soda. Even though Warm Soda did release a somewhat disappointing record this year, I jumped on this solo record the moment it went on sale. 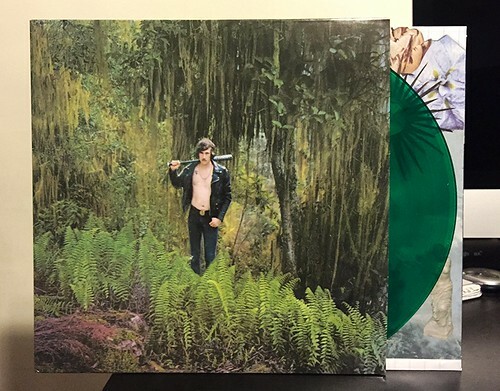 Even though I thought the last Warm Soda record was something of a let down (it had great songs, but the recording zapped a lot of the energy out of it for some reason), I have supreme confidence in Matthew Melton's songwriting. I figured this would be a slam dunk of a record. Well, in some ways it is and others was it is not. In general, these sound like Warm Soda songs that fall somewhere in between their debut Someone For You and this year's Young Reckless Hearts. It's not quite as half baked as Young Reckless Hearst ended up being, but it's not as fully realized as Someone For You. The songs are kind of like rough sketches of great songs. The production is a bit more lo fi than typical Warm Soda, but the songs are absolutely there. When Melton really is hitting on all cylinders as he is on "Painted Sign," "Are You Taking Her Home" or "Glass Diamond Green Roses" he cannot be touched when it comes to crafting a perfect pop song. The one problem that Outside Of Paradise runs into is that it doesn't quite have the kind of album cohesion that Warm Soda records have. It's to be expected as these songs have been piling up over years. The hits way outnumber the misses on this album and as a whole it is just as good if not a bit better than Young Reckless Hearts was. Definitely worth picking up.